Reginald Marsh (1898-1954) is well-known as an American realist painter and printmaker who was based in New York City. But few people are aware of his accomplished use of photography to create life studies for some of his best-known work. 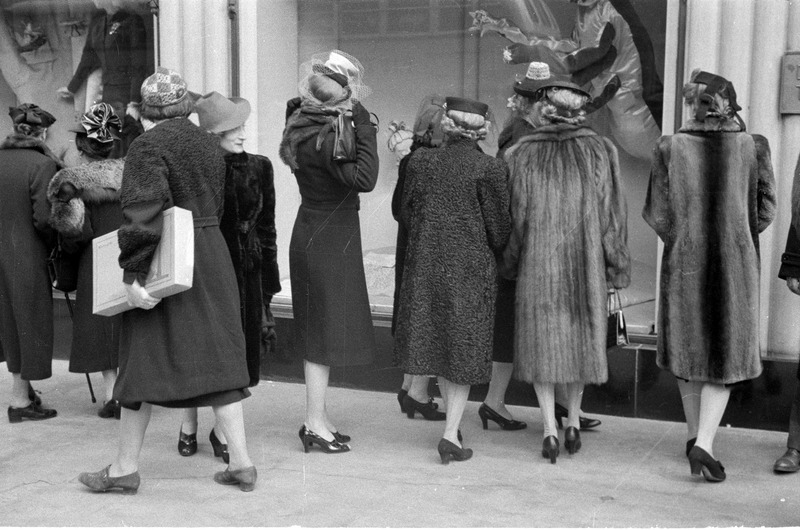 His photographs record the dress, body language, and activities of everyday New Yorkers during the 1930s and 1940s, and served as a sketchpad for his paintings, watercolors, and prints. The 1,567 photographic prints and 588 35mm strips of negatives donated to the Museum of the City of New York by Felicia Marsh, comprise Marsh’s photographic archive and provide remarkable insight into the artist’s working methods. Additionally, the Museum holds a collection of 223 drawings and watercolors made by Marsh for the planning and implementation of his famous U.S Customs House mural. Commissioned in 1936 by the Treasury Relief Art Department, the mural was intended to fill the rotunda of the massive building at the foot of Manhattan and link the United States Customs Service and New York’s harbor to maritime exploration of the past. These prepratory works provide an example to the importance of sketching to Marsh, while demostrating his incorporation of photography into his working method at the time. This exhibition is presented in the form of three essays by scholars of Reginald Marsh’s work: Marilyn Cohen, Katharine J. Wright, and Sasha Nicholas. Each considers a different aspect of Marsh’s life and work, shedding light on his artistic process and influences. Many of the photographs, drawings, and watercolors illustrating the essays are striking images in themselves, capturing public pleasures or private moments amid the churn of workaday life.